Hello! My names jbcarrot, I'm the brew guild lead. If you're on this thread chances are you want to know how to brew! It's pretty simple so I'll explain it all here! Brewing consists of three basic things. 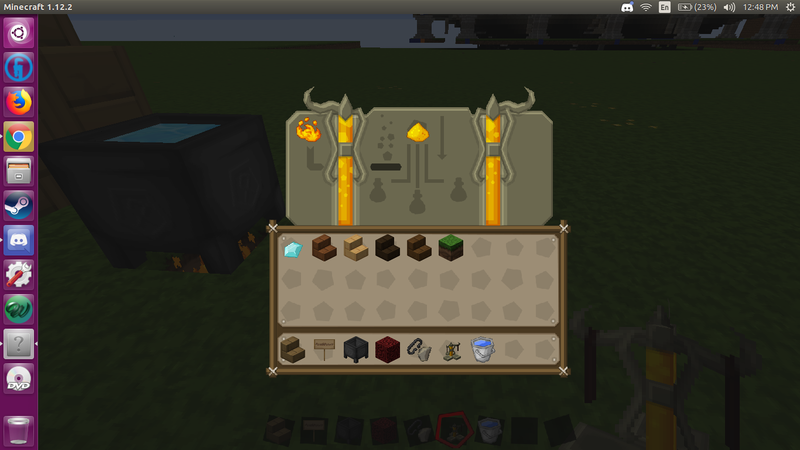 A barrel, a brewing stand and a cauldron. To make a barrel you have to put a sign on the barrel that says "Barrel" for small barrels it goes on the bottom right portion of it. For large ones it goes right above the spigot. 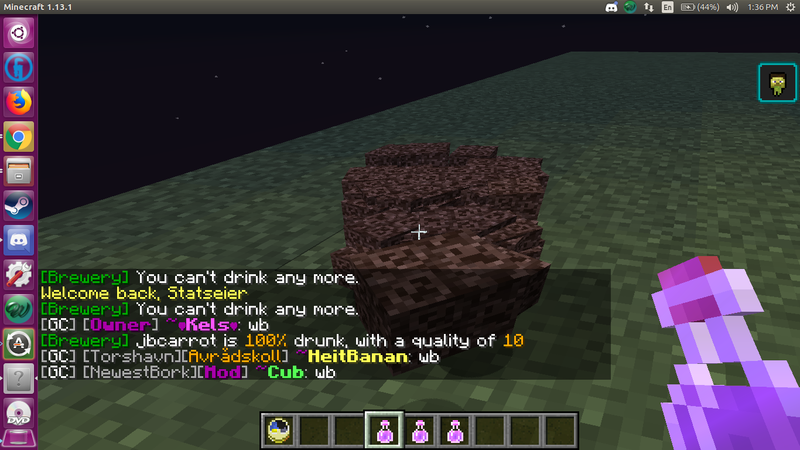 Barrels can be made with any type of wood, some recipes require specific barrel types though. 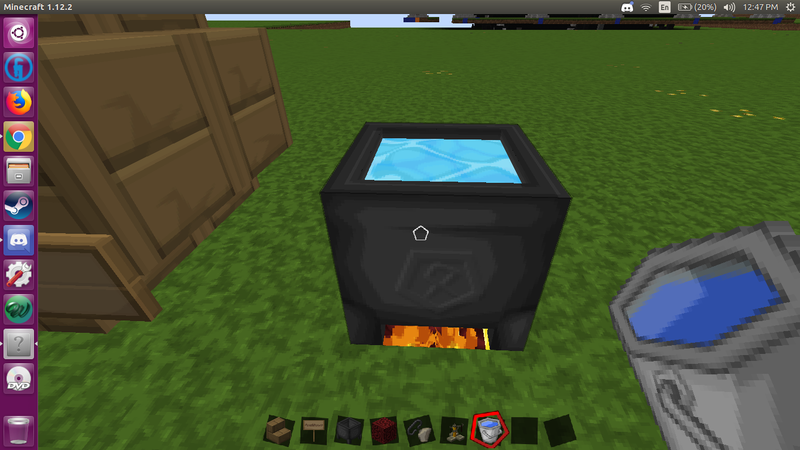 Inside the brewing stand you use blaze powder for fuel and you MUST put a glowstone dust in the top portion when using the brewing plugin. If you don't know how to make a brewing stand you do so by having cobblestone in the 3 bottom slots and a blaze rod in the middle slot. Now that you know what you need to brew lets talk about the actual process of brewing. At this link: https://www.calderaminecraft.com/forum/m/44539863/viewthread/30566719-brewery you can find all the brewing recipes. The goal for the recipes is to figure them out. With each recipe (for apprentice and up) certain things will be omitted, like cook time or ingredients or distill runs, etc. You have to figure them out by testing different recipes. 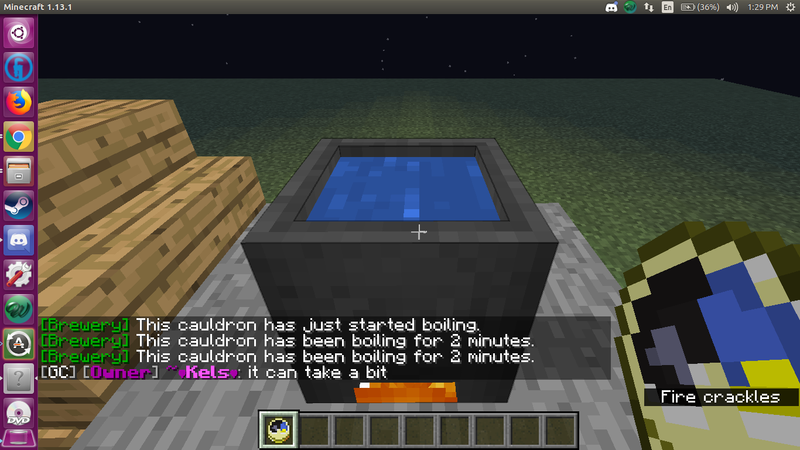 You have to right click with the item in your hand to put it into the cauldron. The clock in my inventory is an essential tool for brewing. When you hold the clock in your hand and right click the cauldron it tells you how long the brew has been going for in chat. So now you have all your items in the cauldron and your brew is cooking! When you have cooked it for the desired time you need empty bottles in order to collect it. Each cauldron gives 3 brews. BUT you might be asking yourself how do you know if you got the brew right? WELLLLLLL let me show you! You'll notice the green coloring on the Ingredients, the time, the distill runs and the age. GREEN means GOOD means perfect. 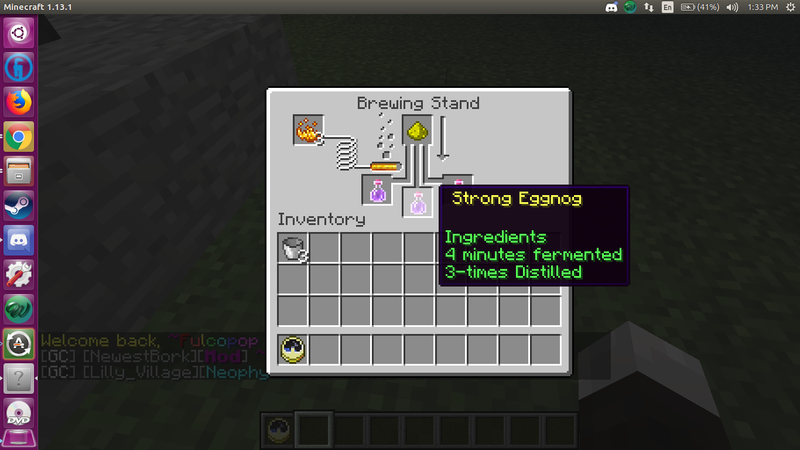 Also the word Strong shows that its a perfect brew too. If the name of the brew is just regular like "eggnog" then it isn't perfect, same goes for if it says "weak". After they are done in the cauldron it's time to distill it. To distill you use a brewing stand. IMPORTANT NOTE: when it comes out of the cauldron it might say indefinable brew, toss it into the distill and let it run and see if it changes to anything. 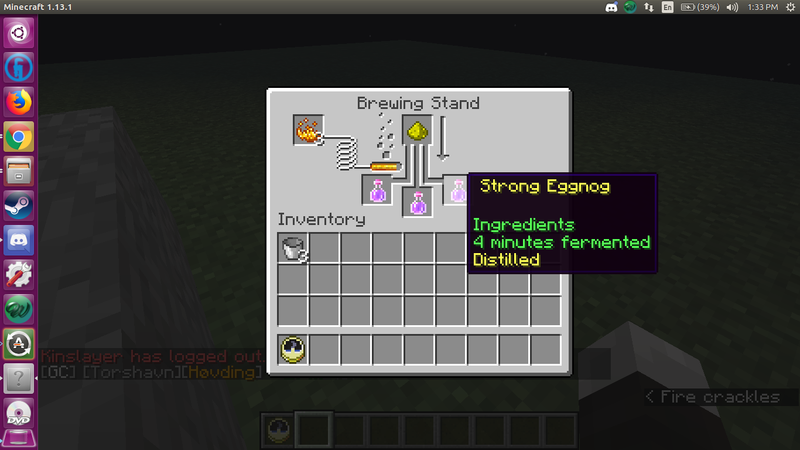 This is it after one distill run, hence why it's yellow text. REMINDER ABOUT AGING: You can use big barrels OR small barrels. 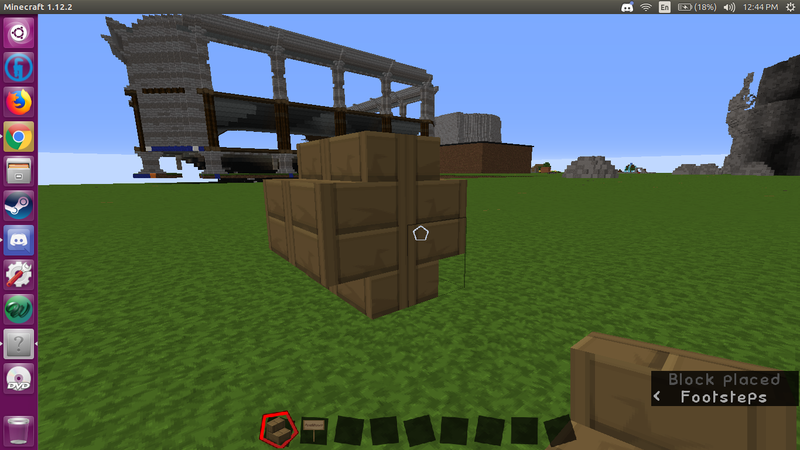 Also either type of barrel can be made with any type of wood. Different brews require different barrels. SO YOU'VE MADE YOUR ALCOHOL/DRINK NOW WHAT!? When you figure out a recipe, write down all the details for it in a book and quill. The ingredients, the barrel type, age, distill runs, cook time, etc. Write down the perfect recipes in your book and quill and when you figure out all the recipes for a rank, sign and title the book. EXTRA TIP: When brewing I find it to be beneficial to do it like this. 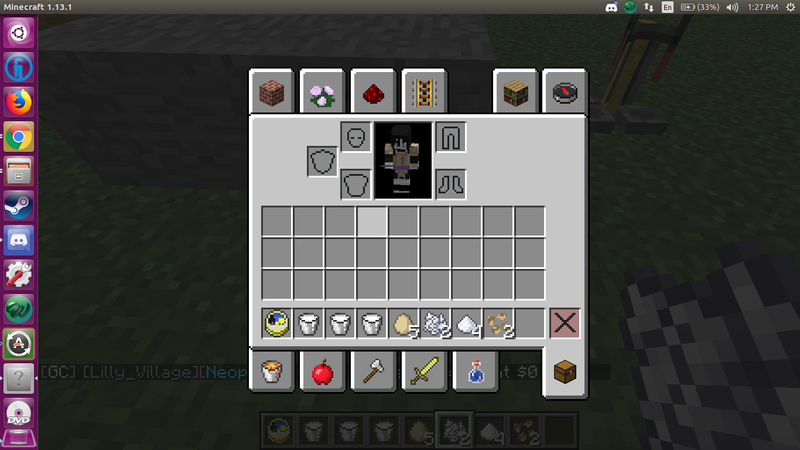 I put all my materials in the cauldron, at two minutes I bottle, at 3 minutes I bottle then at 4 minutes I bottle. I do the same thing but for 5, 6 and 7 minutes, and so on. Because you can use a bottle on a cauldron and still have more brewing in it. This is the best way to go about doing it efficiently. Thanks for sticking around and reading this whole thing. Brewing might seem daunting or confusing, but it really isn't. I'm always a message away if you need help with brewing! Stick with it, it's a lot of fun and is like a puzzle almost!